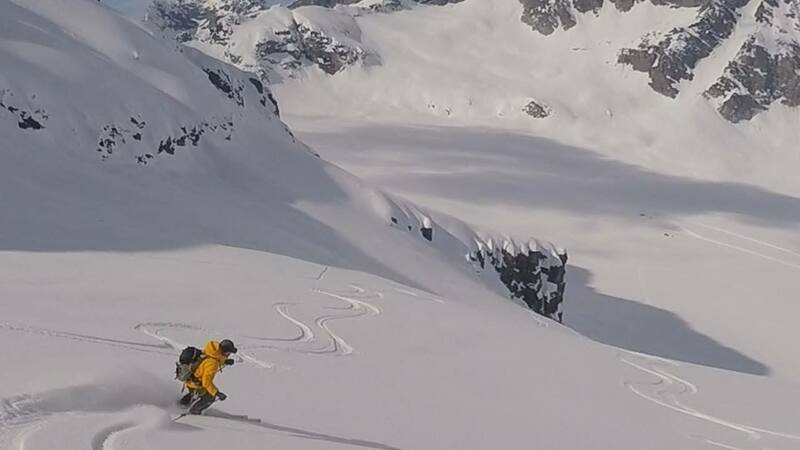 We skied at Icefall Lodge in the Selkirk Range, Columbia Mountains, British Columbia Canada from January 24- January 31, 2015. The fun Sandpoint Idaho gang was there again that week so things were sure to be fun. The first day there was a storm with 30 cm of new powder, but it warmed up and became heavy. 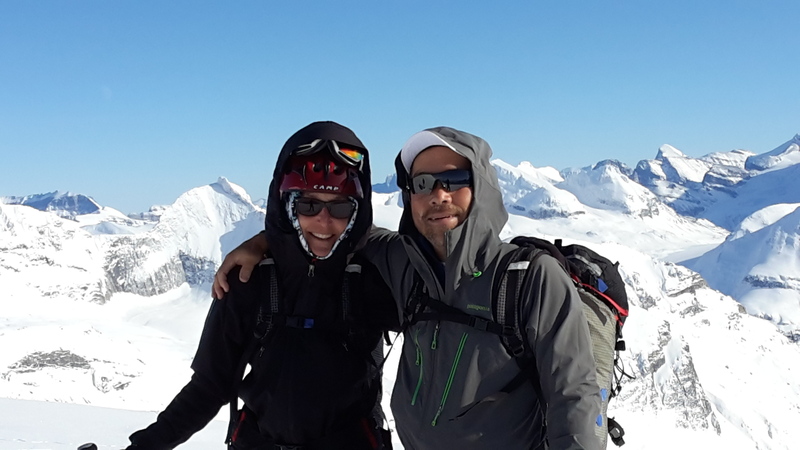 After a couple of days it got cold and clear so we got some great runs in the high alpine in nice snow. 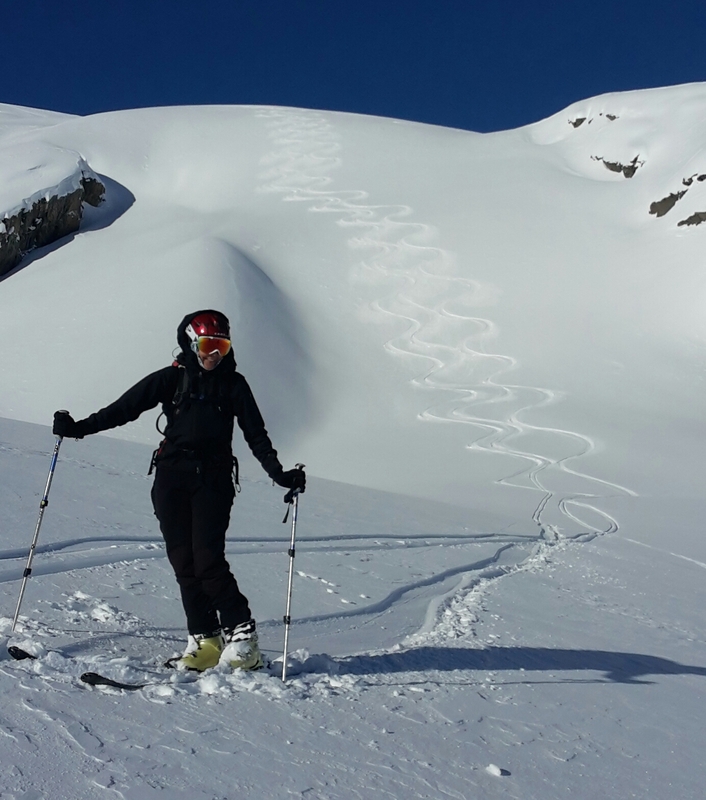 We even got to climb and ski Mt Kemmel and do the Ice Box chute, a big big line. The other guests at the Lodge were very friendly and convivial and everyone got along well. Our guide Pierre Hungr is IFMGA certified and was a super great guy, and an excellent guide. Highly recommended. The last day we got a dump of soft fresh powder and sunny skies and got some nice pow runs before leaving. It continued to snow and snow. The next week we rented an RV for 49 Canadian dollars a day! and stayed at Rogers Pass with Chris and Lizbeth from Sandpoint Idaho with their deluxe camper van Van Diesel with a super nice stainless steel woodstove, disco lights and all. At night we’d stay cozy and warm in their van and party. 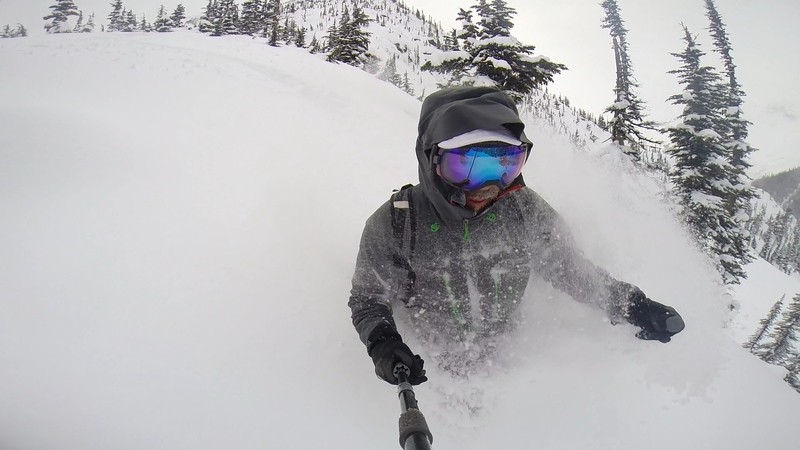 We barely scratched the surface of Rogers Pass but got some great powder. It snowed for 4 days straight, when a snow storm was predicted to hit, so we had to high tail it out of there before getting buried. There are huge lines up there. BC is beautiful and the people are super friendly. So much less uptight than in the US. The currency exchange was really good so things were cheap. We’re definitely going back next year or maybe sooner.